The Schlitz operation that I purchased was located in far South Texas along the Rio Grande River bordering the country of Mexico. This area, known as the Rio Grande Valley, was economically booming at the time due predominantly to Mexico. The exchange rate of the peso versus the dollar was 22 to 1, which created a booming economy and the Mexicans poured into the U.S. spending large amounts of money in the Texas economy. It was not uncommon to see the mall parking lot in McAllen, TX packed with cars from Mexico, even on a weekday. The Mexicans would purchase large amounts of consumer goods, stuff them into empty suitcases and take their newly purchased items back across the border. Upscale retailers never ran discounts or sales, it was not necessary. The price of everything was inflated, including houses. The market was so hot; houses were selling in one day for more than asking prices. While sitting in my lawyer’s office one afternoon, a Mexican walked in with a briefcase full of U.S. currency, ready to purchase a house in McAllen. Times were good for everyone. During my second year in McAllen, the Mexican government devalued the peso to 2200 to 1 versus the dollar. Immediately, the business coming across the border dried up. That, combined with the worst winter in 100 years that killed all the citrus trees, caused unemployment in the Texas/Mexico border to soar to almost 50%. The economy had collapsed. Needless to say, this was a disaster for all of us in the beer industry. The total market shrank. Volume disappeared. No matter what our operation did the entire market shrank by more than one third. Times were very tough. In 1999, 19 European countries adopted the euro as its currency. During the early years of the euro, the exchange rate verses the U.S. dollar favored the dollar. By the mid-2000s, the exchange rate had gone to 1.60 euros to 1 dollar making importing products from Europe, including beer, very expensive. European breweries, many being managed by accountants, began adjusting to the new rates. Some, like Carlsberg and Bavaria, eliminated their US operations totally, and bet on other countries to build their business. 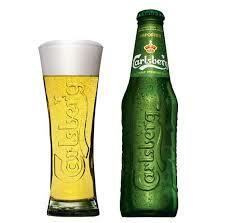 Carlsberg walked away from the U.S. and invested heavily in Russia. During the years running the U.S. Warsteiner operation I had a consistent struggle with the brewery over the exchange rate. Eventually, after massive brewery price increases, Warsteiner’s volume declined by 39%. Downsizing the U.S. operations to offset the price increases enabled the brewery to remain in the black, but it came at a cost. At least Warsteiner maintained its U.S. operation and remained independent, while breweries like Bavaria and Carlsberg did not. At the time of this blog, the exchange rate has fallen from a high of 1.60 to 1 to close to 1 to 1. The industry is now seeing a renewed interest from the European breweries. Given what has happened with the beer industry in Europe, especially to Carlsberg in Russia, these companies are looking west once again. Look for more investment spending from the Europeans, but those companies that kept their infrastructure in place will benefit the most and quickest. Remember, like almost everything, what goes around will come around again! 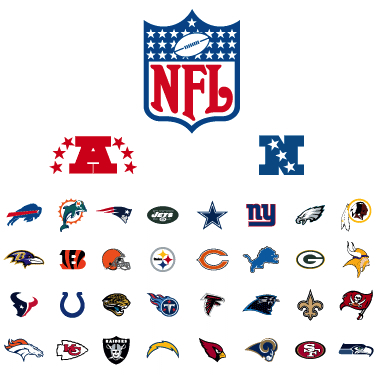 In the NFL there are 32 franchised teams. The value of each team is not the same, but if one were to be for sale, it is safe to assume the final price would be in the billions. There is no competition for the NFL, or as they say, they are the only game in town. If the teams win, their value goes up. In today’s market, it is safe to say that the New England Patriots are more valuable than the Jacksonville Jaguars. NFL teams win based upon the talent of their players, who are under time-bound contracts. Once the contract runs its course, the player becomes a free agent and can then sell their services to the highest bidder. Teams add and delete players every year, but the owners have protected themselves by instituting a salary cap. The cap protects the owners from over spending. Sometimes the cap works and the team owner has a good run, sometimes the opposite happens. In the end, the NFL is all about the players, and the owners simply enjoy the benefits of the franchise. Once again, the topic has arisen as to just how much the franchise laws have added to the value of a beer distributorship. John O’Conner believes the added values could be as much as five times. It is unquestionable that the laws have added greatly to the value of a distributorship, however, the question is: Are franchise laws in today’s beer industry causing distributors to lose value? O’Conner states that the average margin for beer wholesalers is around 7.2%. He also notes that Wine & Spirit houses, those not under franchised states, are around five percentage points less than beer. Consider that W&S suppliers have contracts which are performance based and time bound. This results in W&S houses with thousands of SKUs verses only hundreds of SKUs at beer houses. In addition, many suppliers have their own sales teams, especially the larger suppliers such as Gallo, Diageo, and Brown Forman. Even the mid to small size suppliers will be on sales pads that make their products exclusive to that sales team. All of this adds to additional costs for these W&S houses, which adversely affects the margin percent. Next to franchise protection, craft brewers’ number one compliant is the lack of focus in beer houses, conversely, one rarely hears of a W&S vendor complain of lack of focus. Because commitments outlined in each vendor’s contract, there is no misunderstanding as to the focus. The craft beer segment is now 11% of the total US business and growing. Should it continue to grow to a 30% share, it is safe to say that the growth will come from current domestics, ABI and MC, which have already lost millions of bbls. With the crafts’ overall frustration with franchise laws and lack of focus from distributors, more and more craft breweries are going to self-distribution. Many of these breweries have been successful, some getting hundreds of handles, all coming from competition. Distributors, like NFL owners are attempting to protect their interests by lowering the self-distribution volumes in a number of states. If the current ABI and MC distributors loose an additional 20% in volume to crafts brands not in their houses, perhaps it does not matter what the franchise multiple is, as five times zero is still zero. Franchise laws have protected and enhanced distributors for years, but perhaps the tables are turning. Franchise laws are the major obstruction to crafts. Just look at the number of wineries or spirit manufactures that self-distribute. Not many do. Tequila brings to mind thoughts of Mexico, just as champagne and whisky conjure thoughts of France and Scotland, respectively. Along those same lines, when one thinks of beer, the country of Germany often comes to mind as the premier beer producing country. Obviously, certain types of alcohol are associated with the countries of their origin. During my college summers when I worked on a Coors beer truck, the week of July 4th was always a killer. It was the number one holiday, by far, for beer sales. In fact, on July 3rd, we would leave the warehouse around 6:30 am and not complete our route until after dark, including at least two re-loads of the beer truck. But, because I was paid by the hour, this was perfectly fine with me. In the 70s, it was the 4th, Memorial Day, and, of course Labor Day, that really drove volume. New Year’s Eve was the only other holiday that produced a large jump in sales. By the 80s, Modelo, with Corona, started to push Cinco de Mayo with great success. Today, Cinco is a celebrated not only in its country of origin, but also through many parts of the United States, and is thus supported by all the Mexican beers. Corona, Modelo Especial, Dos Equis, Tecate and all the other Mexican brews benefit. Around this same time, Coors introduced Elvira for Halloween, signifying October 31st as a party day for those over 21. While Elvira, the actress, was fully in support of the Coors brand, the brewery’s leadership made the decision to eliminate the actress from their marketing plan, thus resulting in the company’s loss of any ownership of Halloween. Even the Super Bowl now has become a beer event, with all brands targeting this weekend. And, of course, there is Oktoberfest, which is in actuality, more a season in early fall than a one-day holiday. Prior to the World Wars, German American Day was a big celebration in many cities, especially in areas where the population included high German demographics. The advent of WWI, however, ended this celebration and, and it was not until President Regan resurrected the holiday in 1983 that it returned. In 1987, Congress passed a law naming October 6th German-American Day. Unfortunately, the holiday has been overshadowed by Oktoberfest with multiple celebrations during the month-long season. All German beers mark this time of year as their high volume season. Many crafts offer Oktoberfest seasonally. Another spike in sales. The industry celebrates holidays and brands build their annual marketing plans around these days. Tactically, the Germans target Oktoberfest; the Mexicans target Cinco de Mayo and ABI and MC target all the holidays. Some crafts can even claim a holiday based on their business model, similar to Veterans Brewing Co. which targets Veterans Day and Memorial Day. But today, St. Patrick’s Day, is the only holiday which the industry celebrates that is directly tied to one brand of beer: Guinness. It is very rare to find an on premise bar which celebrates St. Patty’s that does not promote Guinness. Chains, package stores, c-stores and even club stores all have Guinness displays, signs, and price promotions during this Irish week of celebrations. It is Guinness’s week. So to all the readers of this blog, Happy St. Pats Day! And to Guinness, who owns this day, Carpe diem! As a college student working holidays at the Coors distributor in Dallas I began to notice that a certain culture existed in the industry. Coors, although highly regarding in the business, was still a small regional brewery selling in only 10 states and parts of Texas. At that time we were merely the fourth largest selling beer in Dallas behind Pearl, Schlitz, and Budweiser. Still, Coors had an attitude of us-versus-them and worked together as a team. This culture continued later when I was the District Manager at Lone Star. We spent the majority of our time selling product as there was little paperwork or corporate culture to deal with in those days. It was not until I was with the Schlitz operation in Louisiana that the first glimpse of the corporate culture showed its ugly face. Even during my Coors days in Kansas, our culture was much more of an us-versus-them one than a corporate culture, despite the fact that Coors had more than a 60% share of the market. Our team spent the majority of our time fighting back our competitors. We had 100% distribution, and with a limited number of SKUs, we were close to 100% on all packages and we had no non-buyers. Draft accounts were exclusively Coors and AB only had five draft accounts in Wichita. Different times! In the 1980s, things began to change. First light beers entered the picture, than imports, and the breweries started to add new beers. The advent of pre-sell along with turn-key software systems had wholesalers spending more and more time attempting to understand market dynamics. 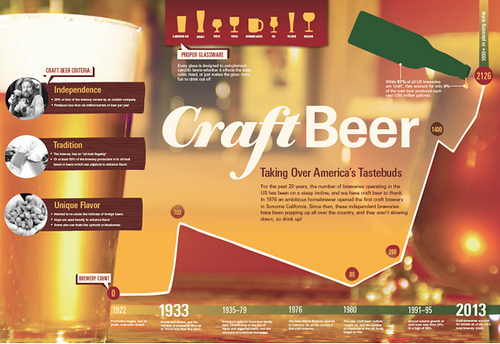 Pushed along by the major breweries, the corporate culture slowly began to work itself into the fabric of the industry. And as the industry began to change and become more complicated, the fun began to slip away. Many of you who are reading this will know what I am referencing. Those early leaders of the craft movement, Sierra Nevada, New Belgium, Anchor, and even Boston, began with a culture that supported the visions of their founders. It was a fun culture, combining both the us-versus-them attitude, with a real passion for beer. All of these companies had to change as they grew into major players. Their challenge was to grow and become corporate, while also trying to maintain the fun and competitive philosophy held from the inception. Although this is a difficult track to follow, some breweries have been able to maintain this culture, while some have not. Today, if you take a step back, you can see the passion and love for beer within the culture of these small and new craft brewers. The young people who volunteer their time and efforts help these small crafts get started. This culture is what is driving the craft industry. Even the small craft wholesalers will go that extra mile to help. A small craft wholesaler was recently noted for periodically paying the brewery in cash immediately in an effort to help the fledgling brewery establish themselves. I have seen some wholesalers actually purchase cooperage and then lease it to help start-up brewers they sell. Again providing a revenue stream for the wholesaler, and a huge assistance to the brewery. The industry truly benefits from this culture; it brings the fun back into beer. Crafts will grow, they will change, and cultures will adjust. Hopefully the craft industry will maintain its core values. At this time in our trade, it is truly the age of innocence. The 62nd PGA Merchandise Show was recently held in Orlando. While the beer industry has two major shows a year, the NBWA and the Craft Brewers Conference, and they both have great attendance, the PGA show has over 10 miles of displays and thousands of attendees. During the show there was an interview with the CEO of Troon Golf, a management company that owns a number of worldwide golf properties including private clubs, golf resorts and even public golf courses. He was asked how Troon Golf dealt with the recent recession. The CEO mentioned that Troon Golf was hit hard in Q4 of 2008, but in recent years there has been an uptick in returning golfers. He also commented on the differences between what the boomer generation golfers looked for verses what is desired by the millennials golfer, duly noting the challenge is to market to both generations. Boomer golfers are interested in the course they will play and the condition of that course, and as noted by the Troon Golf CEO, boomers are by far more competitive. Millennials, on the other hand, were more interested in who they were playing with, not the course or its condition. Millennials wanted a more social experience and expressed interested in the golf course having a great bar and good music to enjoy after their golf round. Top Golf, a multi-level golf driving range which provides the player with the opportunity to hit computer-chipped golf balls into targets, is in a market similar to Troon Golf. Top Golf also offers an upscale sports bar serving a wide variety of craft beers, complete with HD TVs, games and a typical sports bar environment. Top Golf, which was conceived in Dallas, has taken off in recent years and will open nine more locations throughout the country in 2015. It is obvious that Top Golf is more about the social experience than golf which makes the business model a top seller for Millennials. 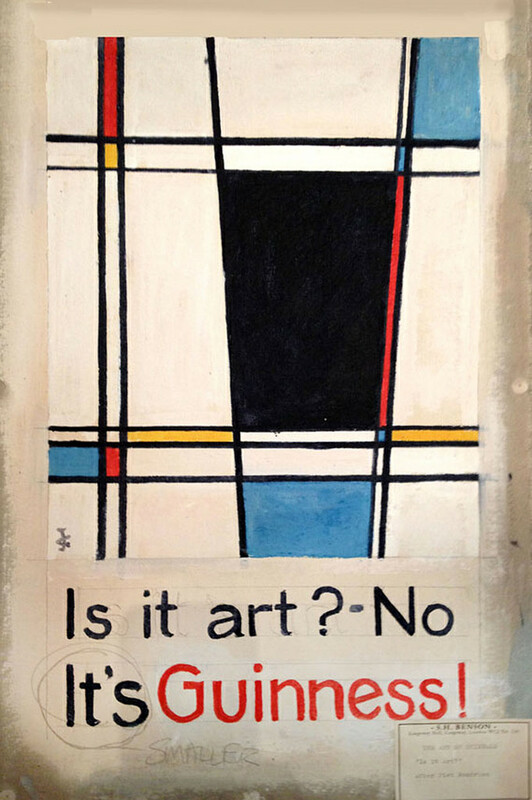 Much has been written about ABIs advertising for the SuperBowl. The Brewed the Hard Way ad has caused industry-wide uproar. The ad is still showing and initial results indicate that Bud is up in sales. By the time you read this, final statistics will be released from the Super Bowl and most certainly, ABI will be highly ranked. Part of ABI’s marketing strategy was to host Bud Light Parties in Colorado ski towns or on cruise ships, with the number of participants approaching 1,000 Millennials and two million hits on YouTube.